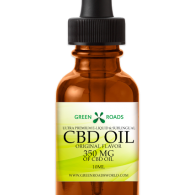 CBD ZONE products are made with 99% pure pharma grade CBD. They have been tested for consistency of active CBD, reliable dosing, and safety. All products are non-psychoactive, contain less than 0.3% THC and are extracted from organically grown CBD rich hemp strains and never from waste. Enjoy the numerous benefits of cannabidiol (CBD) with CBD Zone's vape liquid. Our CBD vape liquid is a great way to reap the full benefits of a CBD regimen at the best price, allowing you the freedom to live your lifestyle untethered. E-liquids can be used in vaporizers and ingesting is as easy as i.. 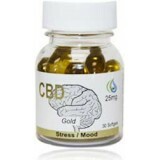 Convenient CBD Capsules for Your Daily Routine QTY: 30 capsules in each bottle CBD Zone Gold capsules are the most convenient and natural way you can supplement your health with the numerous benefits of the hemp plant. CBD Zone products are made from CBD Pur US Isolate. Isolate is a pure powde..
25MG Push Cap: CBD Pushcaps work similar to infuser bottles that are cropping up at stores all over the world. Each pushcap turns an ordinary water bottle into a delicious, healthy drink that you can take with you throughout your day. Simply place the cap over your bottle of water, push to releas.. 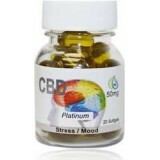 Convenient CBD Capsules for Your Daily Routine QTY: 20 capsules in each bottle CBD Zone Platinum capsules are the most convenient and natural way you can supplement your health with the numerous benefits of the hemp plant. CBD Zone products are made from CBD Pur US Isolate. Isolate is a pure p..